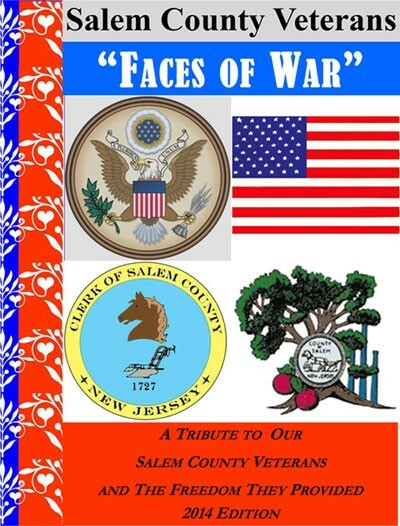 “Faces of War” is an annual publication put out by the Salem County Clerk of Court’s office. We’re proud to honor our Service men and women and invite all Veteran’s in Salem County to submit their information for inclusion in upcoming issues. We at the Clerk’s Office thank you for your service. Download the 2014 “Faces of War” publication. Proudly presented courtesy of the Salem County Clerk. Please be aware that this is a very large file (approximately 29 mb and almost 500 pages) so depending on your connection speed, it may take several minutes to download. Are you or a friend or relative a veteran? If so, here is the application form to be included in future publications of “Faces of War”, which is published annually.